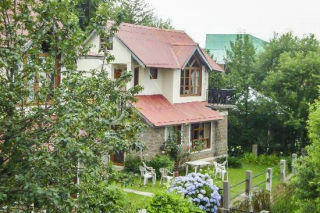 Located in Naddi, this property provides magnificent views of the Dhauladhar range of the Himalayas in the north and the vast expanse of the Kangra valley in the south. 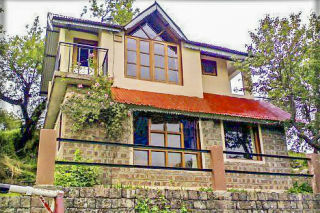 This place is ideal for those looking for a quiet serene and homely place to stay in during their visit to Dharamshala. The property boasts a lovely garden with a variety of swings for children to remain occupied in, or run about on the lovely lawns. This cottage is a part of a group of similar cottages, with red sloping roofs and two storeys. A variety of flowers and garden shrubs line the cottages. Inside, the bedroom is well furnished and compact, with wall-to-wall carpeting, generous French windows, a comfortable double bed, and a couple of wooden chairs by the window for tea time, and a little TV to ensure you don’t miss out an episode of your favourite sitcom! A compact living room with ample cushioned arm chairs and a coffee table is a nice space to catch up with your travel companions. Garden sit-outs among the flowers and trees create a dreamy space to drown yourself in the serenity of the mountains. 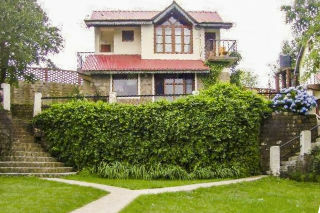 It has well decorated and spacious rooms with attached baths provide comfort and enough space to move around. Every room has large double bed so that you can relax comfortably whenever you want. All the rooms are well equipped with all modern facilities. You can just sit and relax near the windows while watching the beautiful nature. Independent huts, cozy rooms, attached baths, kitchen, beautiful outside lawn and the quick service provide you complete peace of mind and you feel like home. Situated at the prime location in Naddi ( a high point beyond the Dal Lake, Mcleodganj, Dharamsala, Naddi village affords a magnificent view of Dhauladhar mountain range to the north and the vast expanse of lush Kangra valley to the south. 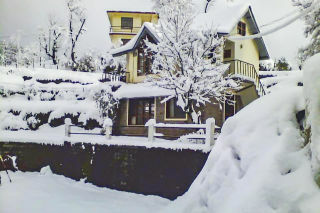 Naddi is situated far away from the hustle and bustle of the Macleodganj market and provides complete peace of mind. 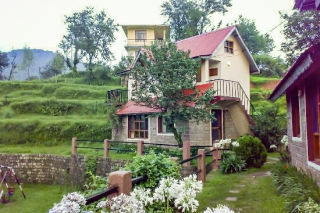 It is surely the best place to spend some quality time amidst the heart of Dhauladhar mountains. Mcleodganj 5 km (approx. ), St. John Church, Dharamshala 4 km (approx. 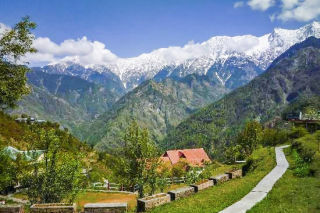 ), Kangra Valley, Dharamshala 10 km (approx. 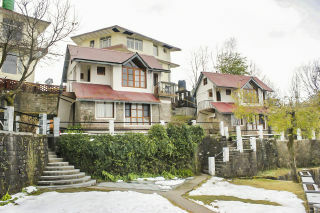 ), Dal Lake, Dharamshala 2 km (approx. ), War Memorial, Dharamshala 14 km (approx.) and Church of St. John, Dharamshala 4 km (approx.). Bus Stand : 3 kms.